If the stars fascinate you or you are crazy about the galaxy, then you've come to the right article. Here, you will learn about the best telescopes for astrophotography to use and what factors to consider when you're looking to buy a new telescope. 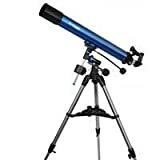 We've done a great deal of homework so you are sure to get a value for your money as you buy a telescope to expand your love for gazing at the stars and constellations. Only with the help of a telescope will you be able to see the beauty of the stars more closely and clearly. And, only with one of the best telescopes for astrophotography will you be able to capture those visions and share them with others in vibrant photographs. 2. How Is Astrophotography Done? 3. What Is A Telescope? In anticipation of some question you may have, we've answered some common queries about telescopes and their application in astrophotography. Astrophotography is a long word tossed about by scientists to refer to the photography of celestial events and astronomical objects. If you are an amateur interested in taking photographs of the stars and planets, then you are interested in astrophotography. To understand astrophotography, we must first understand the principle behind it. In photography, we can form a photograph by recording photons or light particles. But, it's not enough to have a great cell phone camera to capture what you see in the night sky. Ever wondered why you take a shot of a beautiful moon, only to have it appear too tiny in your viewfinder? It is tricky to shoot stars and planets. The night sky has very low light and those things we are trying to capture in a recorded image are very far away. To get a decent photograph, you either have to have a great camera capable of a high ISO or, better yet, you will have to use of an astrophotography telescope. 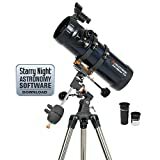 You can buy the best telescopes for astrophotography on Amazon.com. 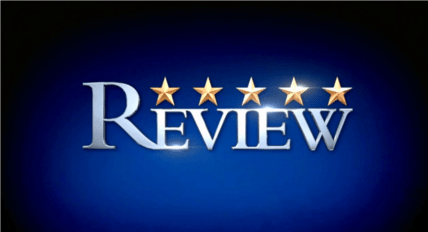 For your convenience, every one of the best telescopes for astrophotography that we've reviewed here has an accompanying direct link to the product on Amazon. that way, purchasing your own will be as simple as a few clicks, a short wait and then it'll be on your doorstep! The best telescopes for astrophotography should be able to absorb maximum light. Objects appear faint because they are dim or because they are too far away. To help absorb light, the telescope should have large lenses and mirrors, a tripod for stabilization and other features that reduce "noise" in the night sky. By resolution, we refer to the ability to see an object with clarity. The best telescopes for astrophotography should be the ones that boast of high resolution in the finished images. The higher the resolution, the better. Contrary to popular belief, magnifying power is only important if we are dealing with a solar telescope. High-quality telescopes are designed to operate at the lowest magnifying power possible. This is because they depend on light to form clear pictures. Though there are different instruments used in the recording and analyzing of images, the quality is determined by the clarity of images formed, the amount of light that can be captured and the ability to spread out the light. Only a telescope with fine optical glass and mirrors used in a sturdy, heavy-duty, yet lightweight and portable build will be good for astrophotography. We took a large cross-section of popular telescopes on the market and compared them based on their individual features, benefits, any perceived drawbacks, their prices, warranties and more. We took a neutral, in-depth look at these telescopes to come up with unbiased comparisons. We invested our time and efforts into researching which ones were best suited for astrophotography for today's users. Then, we came up with a shortlist of 8 best telescopes for astrophotography we could feel good about recommending to you. When we determined our top 8 products, their prices differed drastically, falling anywhere in the range from $65 to $1,000. Of course, as is the case with most products, the higher priced telescopes were those of higher quality. That's not to say that the lower-priced products aren't worth your time and money. Factors such as discounts available may have resulted in low prices. The Explorer Scientific is known for its portability and ability to produce high-quality images. Its design incorporates a carbon fiber optical tube that makes it less susceptible to temperature changes, meaning you get great images no matter the climate. Chromatic aberrations are eliminated thanks to its triplet optical design. One important feature that earned this telescope its place on our best telescopes for astrophotography list is that it combines an EMD-enhanced, multi-layer coating and a HOYA extra-low dispersion glass to produce high contrast images. It boasts of a focal length of 480mm and a push/pull collimation cell. Available on Amazon for around $$. The Orion 9534 is definitely one of the best telescopes for astrophotography, especially if you are a beginner who would like to advance your skills and ultimately professionalize your hobby. It solves color aberrations due to its extra-low dispersion glass. It has an 80mm aperture refractor, which makes it suitable for viewing simple celestial bodies and for normal astrophotography. It is light, weighing in at around six pounds due to the use of an optical tube made of carbon fiber. With this telescope, one need not shift to have sharp images as it is made using a dual-speed two-inch Crayford focuser. Other features worth mentioning include a retractable shield that prevents dew from forming on the telescope. This telescope is backed by a 1-year warranty. 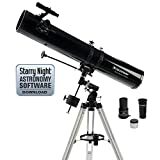 Unlike other telescopes on our best telescopes for astrophotography list, the Meade Instruments product comes with astronomical software and an instructional DVD. This makes it perfect for beginners due to its simple design and ease-of-use features. This telescope is suitable for use on both celestial and terrestrial objects as it has a 70mm aperture. It has a red dot viewfinder that makes it easy for a person to pinpoint and focus on objects of interest. Other unique features include an Altazimuth mount that makes it easy to track objects any time of the day due to its slow-motion control rod. This telescope has a 1-year warranty. If you are an intermediate stargazer, then the Orion 09007 is a great product for your skill level. It boasts of an EQ-2 equatorial mount that is not only sturdy, but also precise. It has an adjustable tripod made of aluminum, which gives it its light weight. It weighs around 27 pounds, but is easy to carry. This telescope can absorb high amounts of light, thanks to its 5.1-inch aperture parabolic reflector. It offers a 52-degree field view of the galaxy, thanks to a 25 mm Sirius Eyepiece. Also included is a 10 mm Sirius Eyepiece for higher magnification. Orion backs this telescope for astrophotography with a 1-year warranty. This telescope is perfect for beginners who want to explore the universe. It boasts of a standard equatorial mount made in Germany. The mount is sturdy and has slow-motion knobs that make it easy to track objects. It is compact and portable, and this makes it easy-to-use outdoors. It made it on our best telescopes for astrophotography list because of its impressive tech support, including how-to videos offered by the company. The telescope comes with two eyepieces that use Barlow lenses to maximize on power. These lenses have a magnifying power of 135x-675x. It is manufactured by Celestron, which has an incredible reputation among astronomers for the high-quality products it produces. This blue telescope is perfect for amateur astronomers due to its ease of use. It provides quality images because of its 90mm refracting aperture. This makes it easy to track celestial objects as they move. Other features that make it easy to track celestial objects include a stable equatorial mount and slow-motion control knobs. This device comes with three eyepieces for viewing a wide range of objects such as planets and the moon. This telescope also comes with a planetarium DVD that explains how to easily use it. The Orion 9024 AstroView boasts of quality and affordability. It is a powerful telescope that sports a 90mm aperture with a focal length of 910mm. It is suitable for solar system exploration due to its clarity. It also is suitable for slow-motion tracking of celestial objects, thanks to its equatorial mount and an adjustable tripod. Orion offers a 1-year warranty on this model. The Celestron 31042 makes it on our list of best telescopes for astrophotography sheerly because of its quick and easy-to-use nature. It boasts of a 114EQ Newtonian stylish design and a star pointer finder scope that is permanently affixed to its German equatorial mount to make it easy to use. This product's glass optics ensure only crisp, clear images, and makes this one suitable for astronomical and terrestrial use. It has adjustable knobs to help one track objects in the sky. 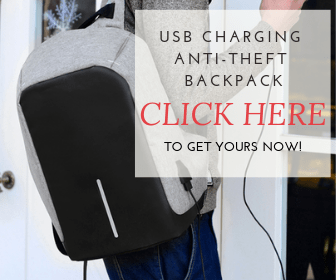 It is portable due to its lightweight nature, and this makes it suitable for camping and outdoor use. It boats of a focal length of 1000mm and an aperture of 114mm. This telescope is backed by a generous 2-year warranty. Based on our research, all the products on our top 8 best telescopes for astrophotography are worth your time and money. However, your best selection will be the product that serves your individual needs.